The Design: Professional, ultra-thin aluminium unibody design that can still be operated in one hand. The Display: 4.7" IPS LCD, 750 x 1334 pixels, 326 ppi pixel density. The Camera: 8MP camera, F2.2 aperture, with digital image stabilization, simultaneous HD video and image recording, back-illuminated sensor (BSI), HDR, 1080p full HD video recording @60fps or 720p @240fps (for slow-mo recording), 1.2MP front-facing camera. The Battery: Capacity: 1800 mAh. Talk time: Up to 14 hours for 3G. Standby time: Up to 240 hours. 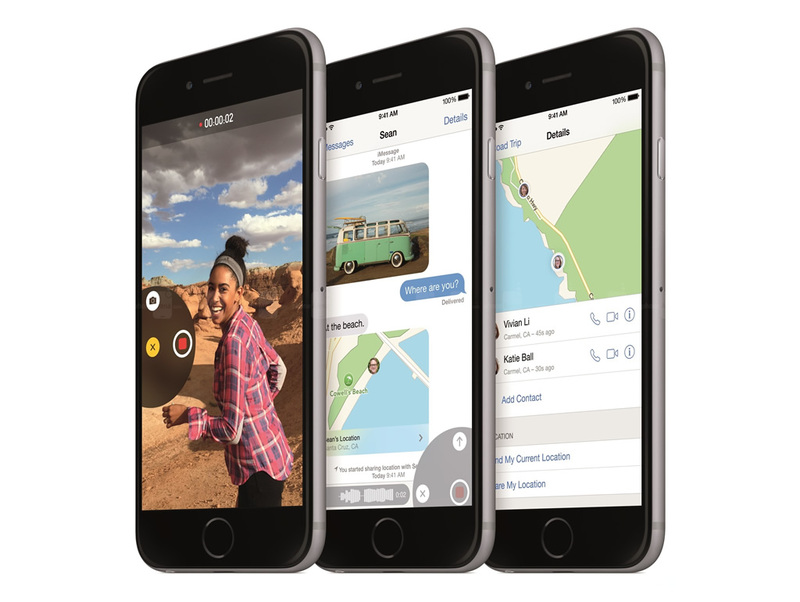 The iPhone 6 is quite a large step up from last year's iPhone 5S. 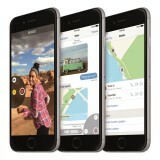 It has a larger 4.7" retina display (up from 4") offering the same pixel density, the new Apple A8 64-bit system chip and an improved 8MP camera which sports larger 1.5µ pixels to help capture more light. In terms of the design, the seamless combination of anodized aluminum, stainless steel and glass is stunning and it manages to shave 0.7mm off its thickness over last year's model, making it the thinnest iPhone to date. Innovation comes in the form of Apple Pay, which will combine the convenience and security of Touch ID and Passbook with NFC technology, allowing the iPhone 6 to be used to pay in stores and within apps with a single touch. While the battery might not be as large a capacity as other flagship devices, it charges quickly it will last a full day for light to medium users due to the power efficiency of iOS 8. Though the iPhone 6 specs might not be groundbreaking, this phone is for people who appreciate a beautifully crafted handheld device that delivers a fluid and seamless Apple user experience, along with a vibrant retina HD display and a solid, easy to use camera. For those that want a larger 5.5" display there's the new iPhone 6 Plus - Apple's first 'phablet'. The iPhone 6 comes in 16GB, 64GB and 128GB variants. Stunning, modern aluminium design, larger retina display than predecessors, user-friendly and seamless iOS 8, improved 8MP camera, great connectivity, fingerprint scanner. Non-removable battery life could be better, non-expandable storage, proprietary USB connector, specs lower than most other flagship devices, expensive. Find the most competitive price for the iPhone 6 and accessories by viewing the table below. If viewing from a mobile device please click on + to get more information.